Maternity clothes: Sleeping in the hubs t's due to night sweats and maxi dresses on weekends. Sleep: I'm up at least 4 times a night. I've been waking up with numb and tingly fingers (another pleasure of pregnancy) due to pregnancy carpal tunnel so I've upped my water intake to around 140 ounces a day. Good bye sausage fingers. Best moment this week: Well last week I found out that I am starting to dilate and that the baby is where she is supposed to be! I have a doctors appointment tomorrow and hopefully I'll find out some more info. These last few weeks have been crazy with wrapping up house projects but watching them get done and crossing them off of the list has been liberating. We've put together all of our gadgets except for the high chair because we won't need it for a while. The best moment this week will be when our upstairs bathroom gets sheet rocked. 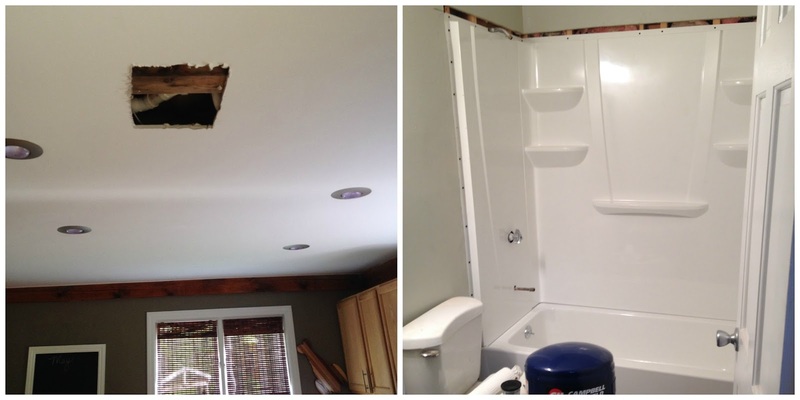 Oh and when the accidental hole in my kitchen ceiling below that bathroom gets repaired. Miss anything: Margaritas, my ankles and my stamina. I've noticed a drop in energy these last few weeks. Movement: She is a wiggle worm. Every time we go to the doctor, she boots the heart beat microphone. Cravings: Still not much. I've been on an avocado kick but I go back and forth with them all of the time. Looking forward to: Baby day!! I seriously can't believe how soon she will be here. And this may sound totally pathetic but I need her to stay in there for at least another 10 days, due to the fact that June's birthstone is pink and May is green (bleh). 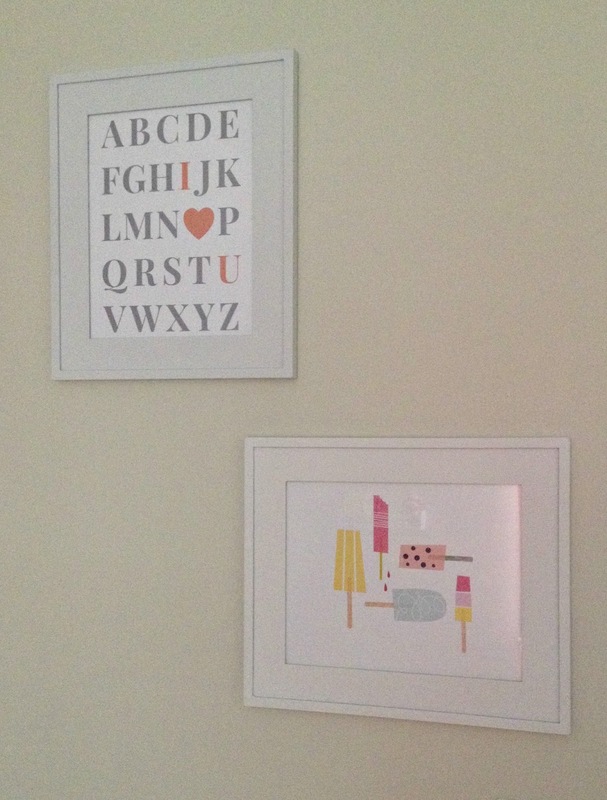 I added these cute little printables to her nursery last night. I'm loving the popsicles, I think that they add just the right amount of color. I know that I need to do a full nursery reveal soon, I have literally just been too lazy! I will try to get to it this weekend but my big plan is to get my garden planted before Baby Casey arrives. I can't get over how cute you are! 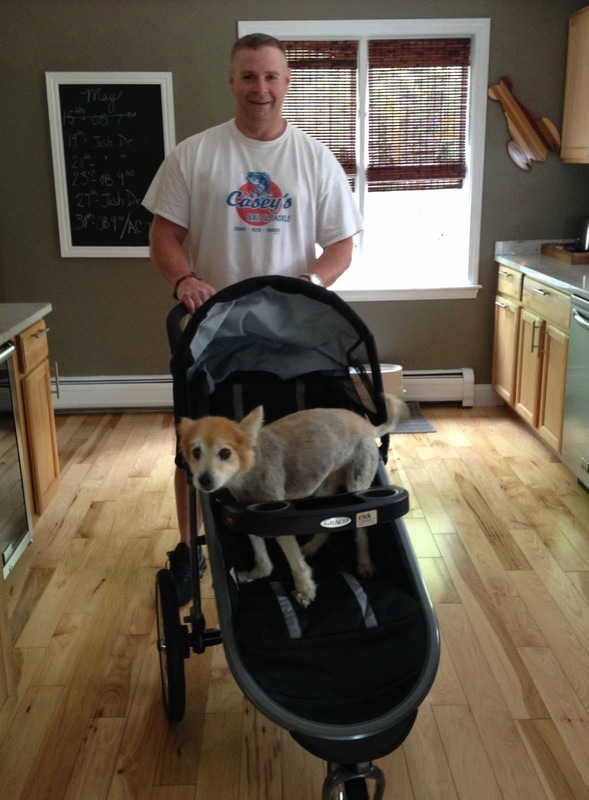 I am so glad to here that baby is in the right position and ready to go! I seriously cannot wait. Why can't you live closer?! I'm so excited for your baby to arrive, but hope she stays in a little longer and marinates for you...ya know that whole June birthday thing and all ;) and give you some time to finish your house projects. You're not lazy! Youre cooking a baby!!! My son is 5 months and I still havent finished his nursery!!! You are a nesting fool! Can't believe you have so many projects going. I would be lazy and sitting on the couch. Love those prints. You look amazing! I missed margaritas and my ankles while I was pregnant, too! And I still haven't finished or revealed my nursery yet and Noelle is almost 8 months old! Oops! Can't wait to "meet" Baby Casey! 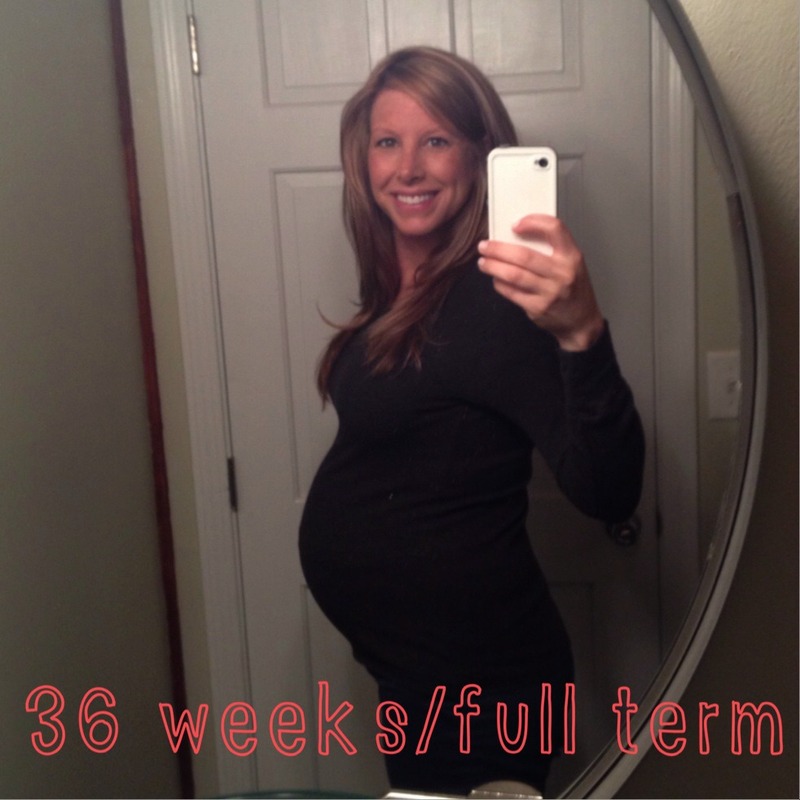 I felt a major drop in energy right around a week ago (at 33 weeks) and it gets a bit worse every day! It seriously takes SO much effort for me to get through the day, even on 9 hours of sleep! Nathan was 2.5 hrs late! How rude. We wanted him to born on July 18th bc that was our 5th anniversary. Of course finally came out at 2:30am on the 19th after 25 hrs of labor. He is still a stinker to this day. Can't wait to see the whole nursery! You look adorable by the way... Congratulations! !